I found this recipe over here. I made a few changes as these come out of the oven quite most. I have made them for several weeks now. All different kinds and flavors for the baby. He has gobbled them up all the same. 1. Puree the fruits in the food processor. 2. Add in the banana and puree again. 3. Add in the flour. 4. Spoon into a muffin pan. 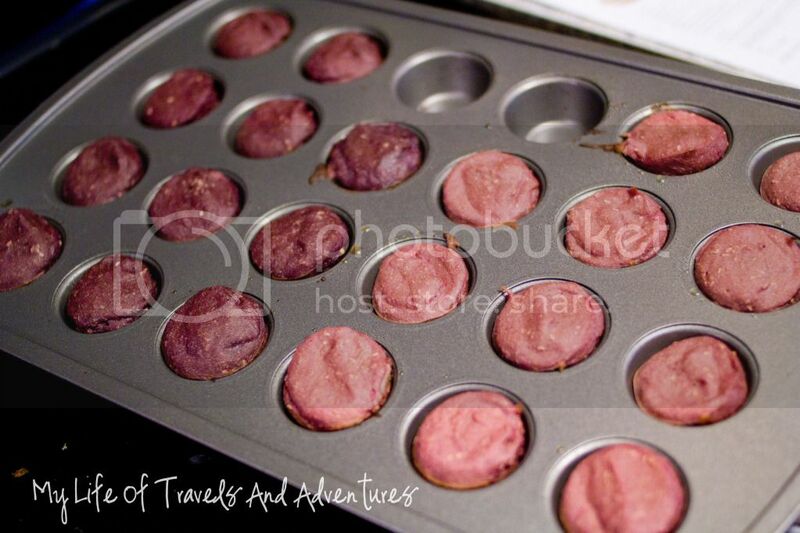 I use a mini muffin pan. 5. Bake at 350F for 15-20 minutes. 6. Eat/Freeze with 3/4 days. 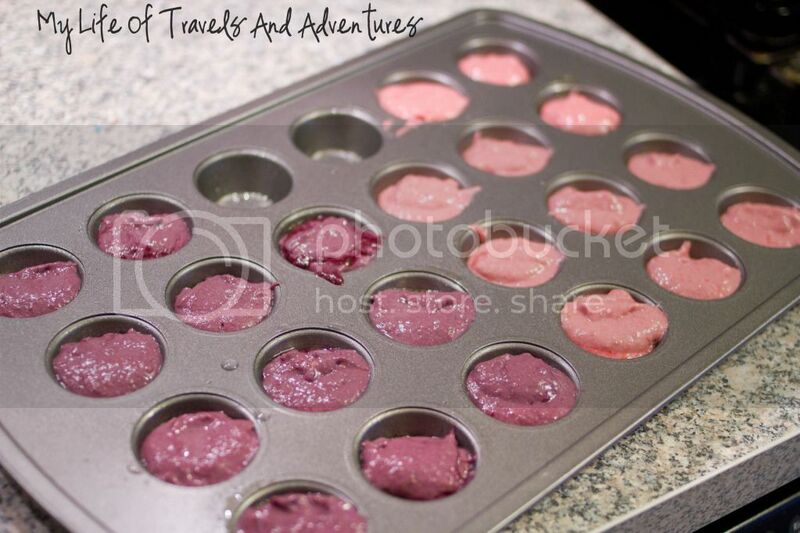 Gee Where did you get the idea for the mini muffin pan? 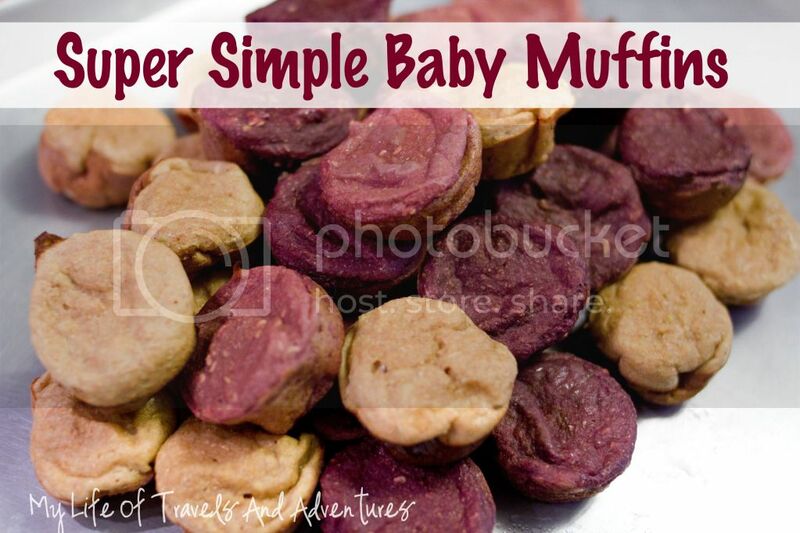 I am going to have to try this for my finicky toddler! Thanks! Visiting from Shine On Fridays! Wow. What a great, easy recipe. Thanks for sharing. Stopped by from the Barn Hop. Great idea, I'm going to try this for sure. I have the pickiest little eater! Thanks for sharing. These were so good and SO easy! I love that you don't have to use milk or eggs too. I made them for my 10 month old. I also made a batch with carrots and apples instead of berries. 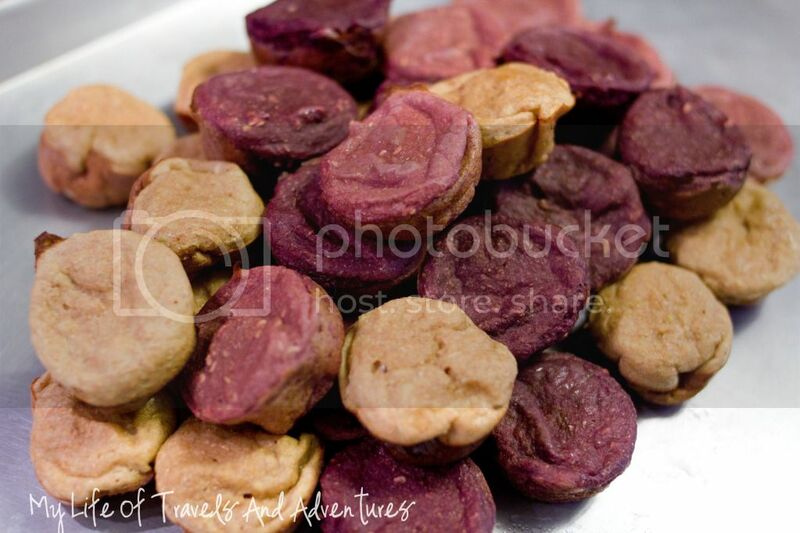 Do you think I could use baby fruit jar food… ? Do you think I can use baby jar food fruit..?